She and Amanda are reading this book aloud together. Why? Because it makes a good read aloud. Have you read it aloud? If not, why not? Must. rectify. the situation! Seriously. 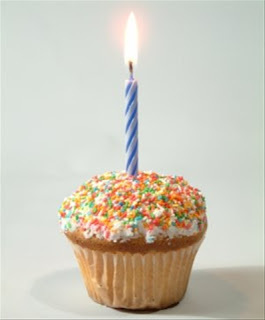 While on the subject of celebrations, it would be good of you to note that it is Bookie Wookie's 1 year blogging anniversary! 1. Bookie Wookie dad wrote The HICCUPotamus which I reviewed earlier in September. Hilarious book which has become a regular part of our every day conversations because Bookworm1 seems prone to hiccups (much like his beloved aunt). 2. Bookie Wookie is pretty much all about a dad spending time on a cool project with his kids. I mean, what else is there to say? I really love their blog because it is not just about books - it's about being an involved, creative dad. That's worth reading about! In the meantime, if you are trying to beat the Monday blues, name something in the comment section that you dream about. Even if your answer is "Friday." Hey, we all have things we long for, right?! One thing I dream about is good movies that promote good morals and generally are enthusiastic about the things that I'm enthusiastic about. I found the following link on Tim Challies' blog today. The Makers of the Fireproof movie (see my review) are soon to announce their next film. And as Challies pointed out, the disheartening thing is the statement from the article in which they say, "Their prayer hasn't been for a good movie; it's been for a God movie." I would argue that the two are one in the same. You should not be aspiring to make a "God movie" that isn't a good movie. And any good movie is going to reflect truth about who God is and is going to express a biblical worldview in some form or fashion. You cannot have one without the other. So, while I'm looking forward to finding out what their next movie ministry project is, I would like to think that it will be superbly done so that we can sit back and say after watching it that much talent was utilized to bring us the best of the best. Favorite Cosby kid: Really, I think it's gotta be Theo. I think he remained the best actor, consistantly, through the series. Thing I most appreciate about the show: Intelligent humor presented in a family-friendly way. It was so fun to watch through this series again. Bookworm1 joined us for a few episodes and his favorite character is Olivia (because she is silly and can make 3 year olds laugh with her expression and attitude). I look forward to sharing the memories with my familiy as we grow up and want entertaining now and again. Thank you, Bill Cosby, for offering families a show that promotes family values, that talks about parents wanting the best for their children and for presenting real life situations to laugh about. I love the Cosby show. What a great show! 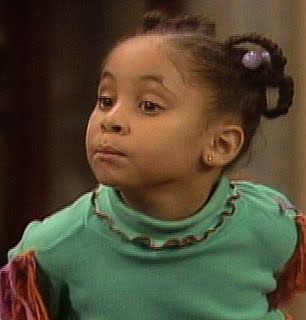 Just a quick note to say that I also, am a huge Cosby Show fan...wholesome, good show! FYI, I live right next to the university that Vanessa attended. Do you remember which one? I love themed birthday parties! That's one of the things I miss about my kids getting older. We never did a knight one: that looks like fun. I still need to read the Benedict Society. It's on my list! I agree that a movie about God needs to be a good movie. Sadly, Christian films have a justly deserved negative reputation that seems like it could be easily rectified. 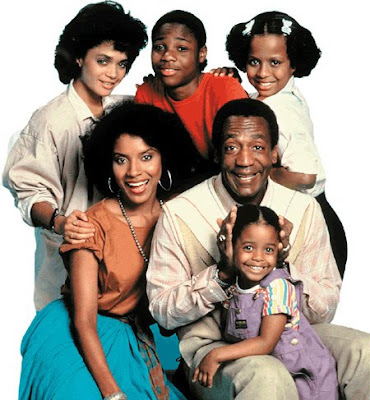 Loved the Cosby show, especially the early years. Somehow we missed the last years when Olivia was on. Maybe we need to get the DVDs when there is nothing on TV this summer. Did you ever watch Boy Meets World? The very first episode I watched the teacher was trying to put on the play of Hamlet, and the kids were not enthused. Corey as Hamlet was the ringleader in trying to stage a "revolt" and quit the play -- but by that time everyone else decided they liked it. When he went to the teacher to ask if he got join the play again, the teacher allowed it but did not give him back the lead, even though the boy he gave it to was not as good an actor. I thought, wow, a show where kids face consequences! We watched it for a few years but stopped when the kids in the show were early teens and interested in "making out." Didn't want my guys getting ideas, as they were about the same age! But we picked it up again the last year or so of the series and enjoyed it again. We've talked about getting the DVDs for those, too. 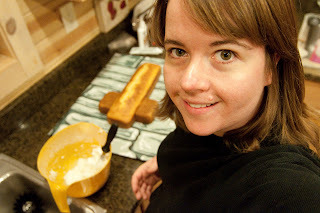 Oh, what a fun post, Carrie! I have to defend the church that makes those movies (if it still is a church in charge)--I think it's really neat that they used THEIR talents. Sure, it was nothing near what Hollywood would've produced, but as a veteran of many, many, many church plays, I can get the heart that goes into it. I think my favorite movie has been "Flywheel," although it's definitely the one that is most "poorly" acted. I thought the message behind the movie was so, so needed and so, so true. However, I do get what you're saying about making good films, etc. I just wonder how that would play out today when Hollywood has the Big Budgets. Okay, onto another subject--I LOVE Cosby, too. We have the first season on DVD, but I haven't watched the whole thing, I don't think. My time for tv/movie/whatever viewing is very limited now, I'm afraid. My favorite episode from the whole series, though, is the one where Theo gets the earring. HILARIOUS. Thanks Carrie for the kind words about Bookie Woogie! Ah... The Cosby Show. They don't make tv programs like that anymore! My favorites - zerberts, Cliff eating the center out of a cake and covering it with frosting, the anniversary episodes, Theo being educated about real life with Monopoly money, when Cliff gets Rudy all dressed in her snowsuit and then she says she has to go to the bathroom (I REALLY get how funny that is now that I'm a mom!!!!!). I'm dreaming of a bigger house, with a dishwasher, a fireplace, a kitchen big enough to store all of my dishes, and a dining room/area big enough for a table that seats all 6 of us comfortably! :) Homemade cinnamon rolls and a cuppa would work too. Thank YOU for putting a smile on my face today! The Cosby Show is definitely among the best television has offered in all of time. And Theo and the Real World is still the best and most memorable Cosby Show of my childhood! Not this post, but can't wait to see your review of Franklin and Winston. Did I recommend this to you? If not, I should have. 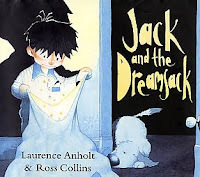 Simply an amazing book, one of my all time favorites. Yes, all God movies should be good movies. I doubt they meant otherwise, but the point is dead on. 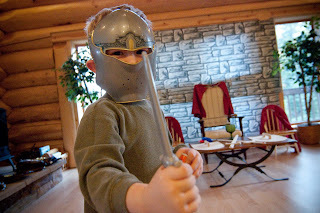 And who doesn't like a Knight party? The Cosby show is the best! Buying that show on DVD is on my Wish list for Mike's next cruise. It's just GOOD! Love the pictures!!! What a great idea for a party! And I am interested to see what the makers of Fireproof come up with next!!! LOVE The Cosby Show! Truly a classic!